The gentleman shown in the visual below started this organization in 1984.Today it is owned by Sapling Foundation,a private non profit organization. "Ideas Worth Spreading" is the tag line of this organization.What is being talked about. 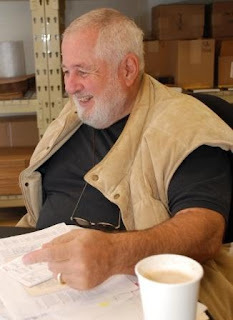 Richard Saul Wurman (visual) founded TED along with Harry Marks in 1984.Wurman left the organization in 2002.The latest TED conference is currently being held in Mysore.